Looking to watch the New England Patriots online without cable? Check out our complete guide to learn how to access New England Patriots live stream. Largest channel selection with NFL SUNDAY TICKET and no internet connection needed. Great access to local channels with the option to opt in to the NFL RedZone add-on. Best DVR option with unlimited storage space. Brady is back with his all-star roster to take the NFL Super Bowl this 2018 season. One of America’s most beloved teams is coming back with a vengeance, so you’ll want to find out how to watch the latest New England Patriots games. If you’re still on the fence about what service to subscribe to, allow us to show you the ins and outs of your options in streaming and satellite entertainment. Let’s break down what channels you’ll be able to watch the Patriots on. CBS is where it’s at for Patriots fans. 10 games will be hosted here. NBC takes half of the remaining weeks with 3 games this season. FOX will take over for weeks 5 and 13. ESPN will graciously take week 8. So now you know your channel priorities. The question now is which service will get you those channels. No worries—we’ve got that info for you too. Let’s get down and dirty with the details. We’ve compiled a list of possible ways you may (or may not) love to watch the New England Patriots. What we like: No internet? No problem. Who it’s perfect for: Patriots fans in rural areas. DIRECTV is the only satellite TV provider on this list, and it can still hold its own against the growing streaming services in the game because of its reliability. Not everyone can rely on their internet connection to provide a clear picture of Tom Brady’s abilities, but satellite TV has your back with high picture quality regardless of your internet speed.  DIRECTV’s CHOICE™ package starts your first year at $45 per month and includes a season of NFL SUNDAY TICKET for no extra charge. This means every out-of-market game, no matter the channel, waits right at your fingertips. DIRECTV gets you what you need (weekly Patriot games) and also a huge list of channels you can surf to your heart’s content. We’re not exaggerating—DIRECTV CHOICE comes out on top with a whopping 185 channels. That’s nearly 100 more channels than the second service on this list. With any service, there are bound to be some drawbacks in the fine print. That said, if you sign up with DIRECTV, you also have to sign a two-year contract. And that’s not all, unfortunately. While NFL SUNDAY TICKET is included in your package for the 2018 season, it’s not in the second year of your contract. Yup—if you want to watch every game in 2019, it’ll cost you $293. Scary, we know, but you can always opt out of it before the 2019 season starts. The last bit of bad news is that your second year’s monthly price goes up from $45 per month to $105 per month. This is pretty disappointing if you signed up for DIRECTV because of the cheaper monthly price. But before you change your game plan, keep in mind that you’re still getting double the content many other services have to offer. You just have to decide if it’s worth it to you. Watch the Patriots with NFL SUNDAY TICKET on DIRECTV NOW. If you live in Los Angeles, Phoenix, Philadelphia, San Antonio, Hartford, or Louisville, you can watch the Patriots with NFL SUNDAY TICKET on DIRECTV NOW. Why stop with the Patriots? You can watch every out-of-market NFL Sunday game. Friendly reminder: you can’t watch your local NFL team with NFL SUNDAY TICKET, so Boston residents won’t be able to use this service to catch Patriots games. Hulu with Live TV is a different than traditional Hulu because it has live TV channels available. We’ve got good news, though, because it also offers Hulu’s on-demand library, so it gives you the best of both worlds. You can try out the free trial and check out what we’re talking about. 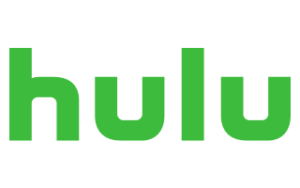 Hulu Live has one of the largest collections of readily available content thanks to the Hulu on-demand library. This means you’ll be able to stream shows like Brooklyn Nine-Nine or It’s Always Sunny in Philadelphia on top of Patriots games. Hulu Live is also one of the best streaming options when it comes to watching local channels, so you’re more likely to get access to the games on CBS, ABC, and FOX than you are with other streaming providers. Unfortunately, the NFL Network and NFL RedZone aren’t available on Hulu Live yet. But ESPN Goal Line is available, so you’ll still be streaming the nation’s best football highlights. You also have premium channels you can add on, like HBO, CINEMAX, and SHOWTIME. When we say you can customize Hulu Live to your liking, we don’t mean it’s perfect. Hulu Live comes with its own share of flaws. Things like increased storage or unlimited streaming come at a price—which means hidden fees that could skyrocket your bill more than $39.99 per month. We recommend you check out what channels are available in your area before you subscribe. To do that, check out the Hulu Live’s homepage and scroll to its “View Channels” option to see if Hulu Live is the best option for Patriots football. YouTube TV is climbing virtual mountain tops thanks to its awesome DVR setup. When the answer to the question “what’s my limit” is “there is no limit,” it probably means you’re either getting unlimited salad and breadsticks or YouTube TV’s DVR. YouTube TV allows you to share your account with up to six people. Your friends and family will have to pay for only one account and still experience all that YouTube TV has to offer. This means you can split the bill however you like, making it (potentially) the cheapest option on this list. YouTube TV’s got more where that came from—thanks to YouTube TV’s cloud-based DVR storage system, you’ll also be able to save an unlimited amount of content in your account. That way, you can watch half the game at home and half the game at work or school a week later. We’re not sure why you’d want to do that, but it’s an option. For all its good qualities, YouTube TV is at the bottom of this list for a pretty damning reason—some channels may be unavailable to you. It is still a growing service when compared to Hulu Live, so some local channels have yet to get on board the YouTube TV train. It’s still a great option for those who can get it, but Hulu Live may be better when it comes to availability. Just like with Hulu Live, we recommend going to YouTube TV’s homepage and clicking the Try It Free button to see what exactly you can try and stream. Patriots are ready to snap the ball—how are you watching? The bar is high for the Patriots this season, just as it has been in the past. We hope they’ll carry their previous year’s momentum forward for another shot at Super Bowl greatness. Let us know how you’re going to watch the New England Patriots in the comments below.